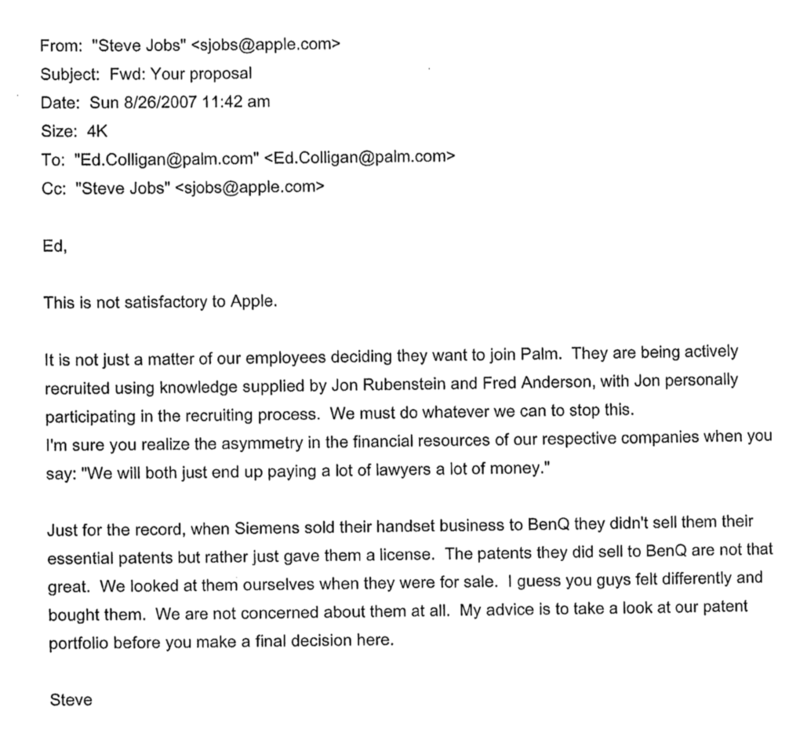 The Real Genius Of Steve Jobs: Progressives Ignored Apple's Labor Achilles Heal? The Real Genius Of Steve Jobs: Progressives Ignored Apple's Labor Achilles Heal? The New Yorker once published an essay with a theory about the real genius of Steve Jobs being he was a “tweaker,” but perhaps his real genius was to get everyone (especially many “progressives” and the media) to ignore what is increasingly becoming an Achilles heel for Apple (AAPL) – the use or alleged “abuse” of “underpaid” Chinese labor at its Taiwanese subcontractor Foxconn (FXCOF.OB) along with gentlemen’s agreements not to poach employees from other Silicon Valley tech firms (to keep engineering salaries low). However and as an American company, Apple is increasingly being forced to take action against both real and imagined labor problems in China to avoid the PR nightmares faced by Nike (NKE) some years ago. These actions will not only harm Apple’s margins and bottom line, they will also give Samsung (SSNLF.PK), a company that is not facing the same level of scrutiny or concern because its Korean, a big and growing competitive advantage for the long-term. Likewise, the growing volume of emails written by Steve Jobs that are being released as part of a lawsuit targeting several tech firms over do not hire gentlemen’s agreements further threatens to tarnish his legacy, the image of Apple and cost hundreds of millions of dollars in legal claims. 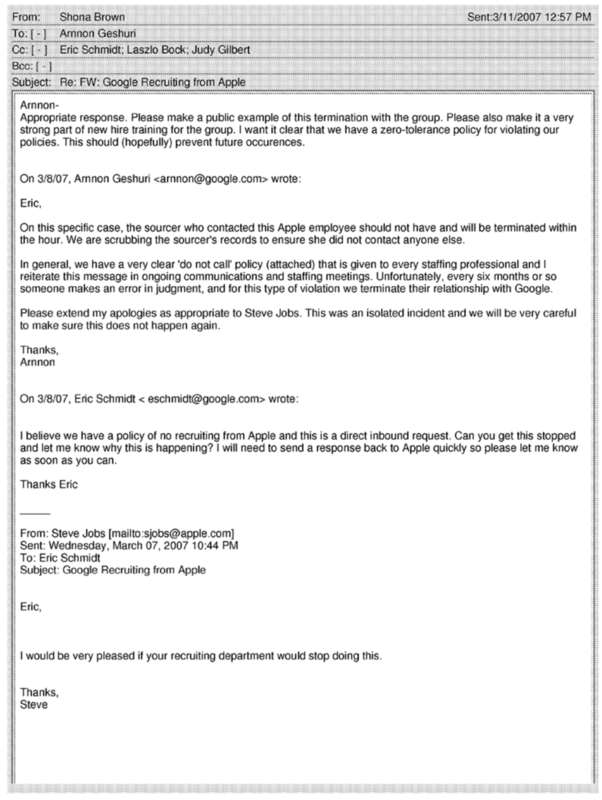 Those emails also make one wonder what other emails may lurk regarding labor conditions in the Chinese factories of Foxconn and other iPhone or iPad suppliers. Apple Products: Just Betamax Made in Chinese Sweatshops? To begin, let me explain where my point of view about Apple comes from. When I left the United States about a decade ago to live and work in Asia, Apple was, well, the computer company that gave my elementary school all of those free or discounted computers we used to play Oregon Trail on. Sure, everyone said Apple had the better computing product than Microsoft et al (like Betamax verses VHS), but then they (myself included) went out and bought computing products compatible with Microsoft et al. So I have never owned an Apple product in my life. My first and second mobile phones ended up being made by Nokia Corporation (NOK) because they had something like 90% of the local mobile phone market at the time where I was working. I then bought a rather expensive Samsung smartphone with a querty keyboard and when the battery finally wore out on it (I’d have to specially order a replacement), I opted for an inexpensive BlackBerry look-a-like in anticipation of getting either a real BlackBerry (because I want something with a querty keyboard) when the prices for their older models come down or another Samsung or perhaps even an HTC smartphone as they were making a big push in Asia not long ago. If they start interrogating waiters/waitresses about whether Gluten, MSG and other apparently nasty stuff that only shoppers who started frequently places like Whole Foods after I left the States seem to know or care about. What I find strange is the whole occult status my fellow Americans (especially among those “progressive” Americans who read Paul Krugman pieces in the New York Times while sipping their Fair Trade lattes and nibbling their Gluten free muffins at Starbucks) seem to have for Apple products like the iPhone or iPad that are effectively made by non-unionized, “poorly paid” and abused “sweat shop” workers in China, but branded and marketed as American products – like everything else now on the shelves of Wal-Mart. One explanation for this phenomenon is that even “progressive” Americans who read Paul Krugman pieces and drink Fair Trade lattes have been perfectly willing to pay $400 for an iPhone or iPad and ignore any labor issues because they aren’t willing to shell out $4,000 for one made in America by Americans. Another explanation could be that unlike Sam Walton, Steve Jobs did not drive a pick-up truck with gun racks on the back (an electric car perhaps, but certainly not one equipped with gun racks…) and he wasn’t from flyover country. Luckily for Apple, media coverage seems to be improving to some degree lately (or Apple’s PR efforts are bearing fruit) as a lengthy December 2012 article in the Economist seemed to paint a much more realistic and balanced picture of what things are really like right now at a Foxconn factory making Apple products. And even the New York Times grudgingly acknowledged in an article after Christmas that things are improving in Chinese electronics factories while their Technology blogger David Pogue managed to write a more balanced piece back in February of 2012 that included an unedited letter from a Chinese man now studying in the States who pointed out that working in a “sweat shop” is actually an improvement compared to the old way of living in the Chinese countryside. The trouble is that a quick look at the comments posted on the New York Times’ pieces by many of their more “progressive” readers who no doubt pride themselves about being “open minded” reveals how closed their minds are to anything but their own preconceived notions about what labor and living conditions are like in China (and what Apple should do). So what is the real situation in China with the workers who make Apple products? While I have not visited China in a decade, my understanding is that most companies like Foxconn will pay more than what the average Chinese worker earns (especially one from a poor rural area) plus they provide housing (albeit its probably a crowded dorm that can’t be compared to the increasingly luxurious dorms American university students enjoy), a canteen to eat at and some basic medical coverage. That means even if a Chinese worker (who is usually young and single) is only earning a few hundred dollars month after any deductions for the above (taxes would be minimal or nonexistent), their salary is going straight into their savings (or home to support family members living in rural poverty) – not into buying overpriced iPhones and iPads on credit like the average American worker (who has little in the way of savings) will end up doing. Likewise, it’s important to consider that deep down inside, Chinese culture has historically been a xenophobic culture as the Chinese once believed their country was at the center of the world with nearly all non-Chinese people being barbarians or “foreign devils.” Mainland Chinese are also quick to tell you their belief that the Taiwanese (and other overseas Chinese for that matter) look down on them and treat them differently. Given that Foxconn is a Taiwanese company making expensive products for foreign barbarians, one might want to be cautious about believing everything you hear about labor conditions at their factories as told by mainland Chinese workers. And those stories about fishing nets below dorm windows to prevent suicides? To me, this sounds like a case of all too logical Chinese logic for the problem: “The Gweilos are now worried about X, doing Y will solve that problem!” Sure, I am not under any delusion that working at a Taiwanese subcontractor assembling Apple products is like working for the US Post Office (as I know more than a few young Taiwanese who work in Vietnam for companies just like Foxconn), but it probably isn’t as bad as working in a Korean owned garment factory. That sort of brings me back to Samsung based in Korea. First, let me be clear that I am not trying to disparage Koreans or Korean companies as you can’t apply western morals and business ethics to judge non-western cultures or companies or how they do business or treat their employees. However, anyone who has ever worked as a headhunter in Asia (like I have) knows that Korean companies will typically pay peanuts for your services, if they are willing to pay for them at all while candidates know they will try to pay the lowest salary realistically possible (if you can find any good candidates willing to work for them). Moreover, the immigration lawyer who would fix my work permit in the Philippines once told me that he had one business rule and that was not to deal with Koreans (unless they worked for a western MNC) or Korean companies. His reasoning was simple: 1) They always wanted to try an under the table method to get something done much quicker because they were always in a hurry. 2) Immigration official knew they always wanted to try an under the table method to get things done quicker because they were always in a hurry (so they usually asked for something under the table). Of course, multinational Samsung may also be among the Korean companies that take a more globalized and enlightened approach to their business practices, but Koreans and no doubt Korean companies still have a sort of national inferiority complex that drives them to work extra hard and to crush the competition any way possible. A querty keyboard as I don’t want to sit there and tap on a screen with my fingers. Absolutely no moving parts as the clam shell Nokia I had looked cool until I got the bill to have the clam shell part fixed. Reliability as I don’t want to buy or learn how to use an expensive and complex new smartphone every year. The Price – preferably the lowest possible or close to it with the above factors in mind. I really don’t care about the actual smart phone brand, whether it’s “cool” or if the brand is American and made by American workers while worrying about the Chinese workers who made the device is beyond my pay grade and probably beyond the pay grade of most customers in emerging markets (as we have a better understanding of the realities in such places) who Apple must compete for against the likes of RIM, HTC, Samsung and all of those Chinese wannabe smartphone players. So one slow growing headache for Apple could be the China labor issues becoming increasingly hard for the New York Times “progressive” crowd to ignore (especially with Steve Jobs gone) and those types of customers are going to want something done about them. But even readers of Mother Jones magazine who drink two Fair Trade lattes every day aren’t going to shell out $4,000 for an American made iPhone or iPad and I am not so sure they would even want to pay an extra $10 or something to have any guilt assuaged. After all, how many people, even “progressives,” do you actually think check a box to voluntarily pay some silly green carbon tax when they book a flight or choose to not take a few tax deductions because they think it’s unfair to pay a lower tax rate than the secretary? Instead, they are more likely to pressure Apple to “do the right thing” and “address” any labor issue (real or imagined) – thereby causing margins to take a hit. With Samsung and other smartphone makers based in Asia churning out millions of smartphones (as the volume increases, manufacturing costs inevitably fall) for the less “progressive” masses in Asia and other emerging markets (who aren’t so concerned about who made them and what their working conditions are), this is the wrong time for Apple to be hit by any guilt trips from American customers or to face bad PR (like Nike had) over labor practices. Moreover, US District Judge Lucy Koh has determined that since Apple co-founder and CEO Tim Cook was CC’d in some emails, she finds it “hard to believe” that he would have been unaware of such agreements. 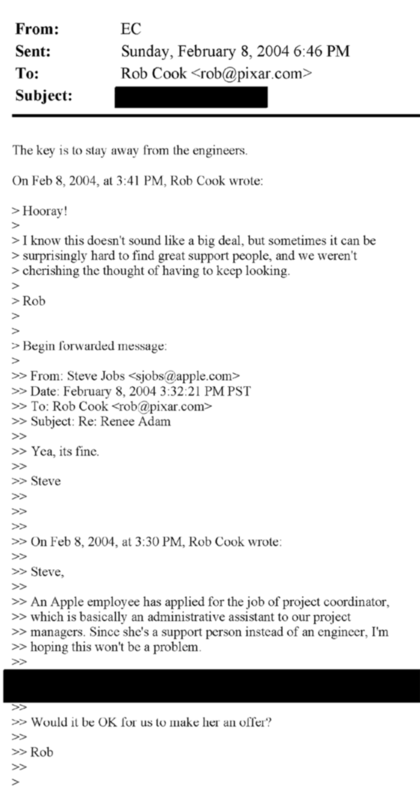 I would also wonder what “embarrassing” emails to and from Steve Jobs or other Apple executives like Cook might exist about any labor issues or problems in China – should someone start to ask for them. With that said, non-compete clauses in employment contracts and do not call lists or restrictions on the active poaching of employees from competitors does make sense from a business standpoint and any case challenging their legality will be complex. 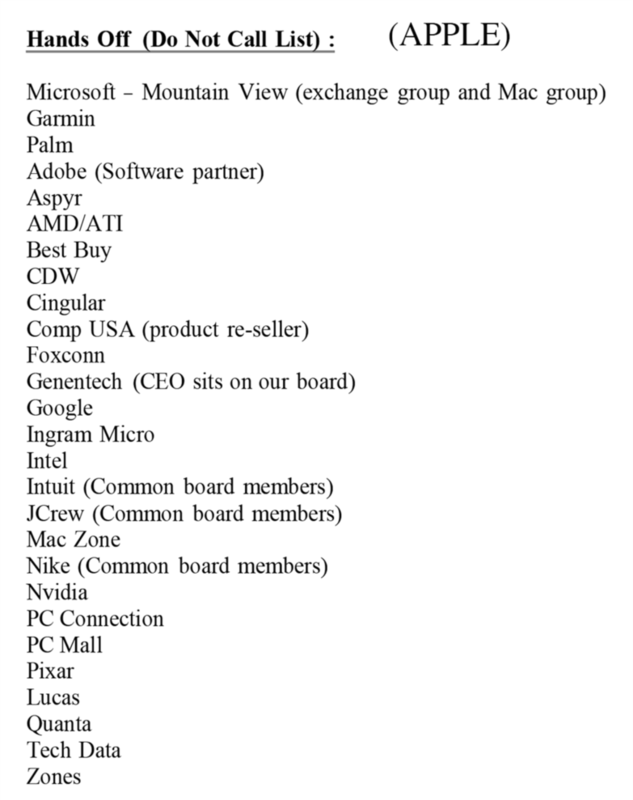 However, one has to wonder how many perspective jurors in Silicon Valley really believe its “morning in America” because beating any employment discrimination or antitrust lawsuit in a US court (if a jury is involved) will not be a walk in the park like beating up Samsung on the home court was. A Final Thought: Is Samsung Already a Winner By Being Korean? With Steve Jobs gone, Apple’s free pass from the news media and their “progressive” readers is increasingly a thing of the past as the company is forced to address any real or imagined labor problems at Foxconn to avoid worse PR. If Foxconn workers assembling Apple products end up getting paid more than the workers assembling other electronic products to counteract bad PR, it’s inevitably going to impact Apple’s margins and the bottom line. Likewise, Apple’s harshest “progressive” critics probably won’t be satisfied until every last iPhone or iPad is assembled back home in America (by robots with a handful of unionized button pushers). On the other hand, Samsung is quietly churning out millions of smartphones and will never face the same level of scrutiny or pressure from the Korean media or customers in Asia over any of its labor practices. After all, the Korean media and Korean customers probably don’t rake their most successful companies or brands over the coals to feel better about themselves and they are probably much more nationalistic as they want their brand Samsung to win the global smartphone wars and to win them at any cost. So perhaps Samsung is already the smartphone winner just by being a Korean company while the genius of Steve Jobs for Apple ended with his passing. One response to The Real Genius Of Steve Jobs: Progressives Ignored Apple’s Labor Achilles Heel?